The clubrooms will host our annual juvenile presentation night on Friday 21 February. The senior presentation/member’s night will be held the night after on Saturday 22 February writes Eugene O’Boyle. Dancers in the St John’s Strictly Come Dancing semi-final. Tickets for the 2014 Down GAA Clubs Draw are now available from Sean Quinn or any other club committee member. The draw has a total prize fund of £110,000. Tickets cost £120 and can be paid for in monthly installments. After the club has sold their first 20 tickets, they will receive £96 for every additional ticket sold so this is a valuable fundraising opportunity for the club. There will be 10 monthly draws with 5 prizes of £1,000 per month and 2 super draws in June and December 2014 which each will have a £5,000 prize, 5 prizes of £2,000 and 10 prizes of £1,000. Also every club is guaranteed a £200 winner in the special club draw. All tickets holders also get a £25 credit towards their 2014 club membership. The first draw is on 25 February 2014. Semi-finalists in the Strictly Come Dancing in action. A-maz-ing! After the success of last week’s strictly who thought it could get better. But it did! The atmosphere was brilliant on Saturday night and the dancing was incredible. 6 couples took to the stage and all 6 deserved to get through to the final. Unfortunately we could only take three through. 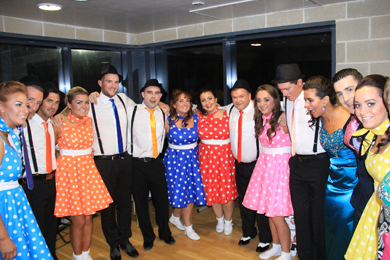 The three couples who will be joining last week’s dancers are Team Morgan – Darren Morgan and Aisleen Morgan, Team SyCo – Simon Walsh and Colleen Murphy and Team Twinkle Toes – Brian Fitzpatrick & Aisling McMullan. 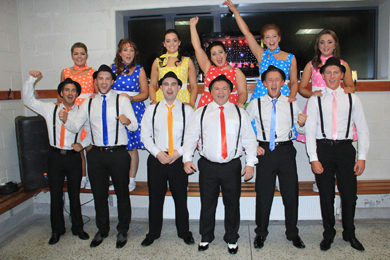 All smile sfro the Strictly Come Dancing at St John’s GAA. a very tight competition. The tickets for the final will go on sale this Thursday at the club from 7.30pm to 8.30pm. Any Under-14’s who have any of the playing jerseys from last season are asked to return them to Gerard Magorrian as soon as possible. Rehearsals are well under way for the next play at St John’s which will be “Separate Beds” by Sam Cree. 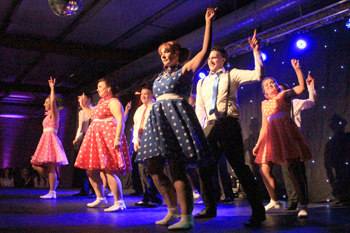 Keep the 28 and 29 March 2014 in your diary as it promises to be a show not to be missed! 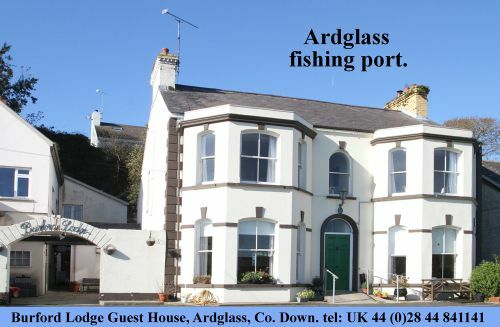 The next poker night will be held in the clubrooms on Friday 14 February at 9.00pm. Lotto numbers were 5, 10, 16 and 17. Aidan Murray, Jeanie (c/o J Flynn) and Scot-Anna Maire & Bro were £10 winners. The jackpot next week is £2,250.